With the Christmas and New Year festivities out of the way, there is much to look forward to in 2013, and this winter kick-starts a whole season of wonderful happenings in Larnaka. With Valentine's Day around the corner, we have lots of wonderful ideas on how to celebrate in Larnaka whether you are newlyweds or old loves, from romantic walks to couples pottery-making sessions. It is no secret that everyone is feeling the pinch in these hard economic times, but a trip to Larnaka is fantastic value for money with a whole range of activities that can be enjoyed for free or with very little cost. You can try some of them with a fantastic, new suggested itinerary for those spending two weeks in the town that includes something new and interesting for each day. And a new video hears real experiences of Larnaka from real people who love the town, so read on to find out how even in winter and hard times, or for romantic occasions, there is still a town that is exciting, enjoyable and affordable... it can only be Larnaka! The heads of the Larnaka Tourism Board are anticipating a fantastic 2013 for Larnaka. Chairman Mr Lefkaritis firmly believes that "It is Larnaka's time, as the region has many prospects" and is confident in Larnaka's ability to attract visitors, ensuring positive levels of tourism for 2013. Vice Chairman-Larnaka Mayor Mr Louroutziatis echoes this belief; that Larnaka is heading into a year where its full potential will be realised- both as a destination for longer holidays and city breaks. If you are lucky enough to be staying in Larnaka this winter then you are in for a treat! 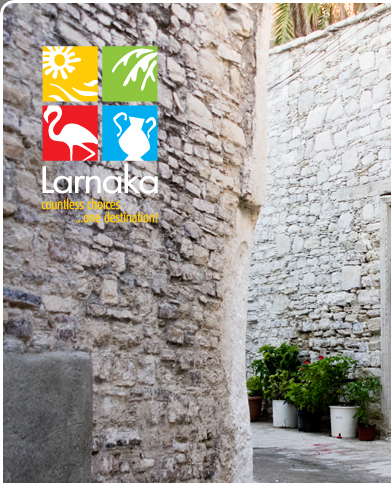 All winter, until March 2013, guests of hotels and apartments in Larnaka are entitled to a free half-day excursion to three of Larnaka's picturesque villages; Lefkara, Tochni and Skarinou. Highlights of the tour arethe complimentary wine and treats offered by Lefkara Municipalityand the participation in a traditional cooking session. The excursions are held every Saturday from 9am - 3pm and offer a real insight into traditional village life. If you have visited Larnaka before, you will probably have your own reasons as to why you love the region. This is what a new video on Larnaka has set out to do; capture all the wonderful things about Larnaka and find out what real people with real experiences feel about 'Charming Larnaka'. Although the film is under 4,5 minutes long, there is so much captured and showcased that you will want to pack your bags and catch a plane over in no time! As a friend of Larnaka, no doubt you could list many aspects that make the region the perfect destination. Indeed there are so many reasons that we couldn't possibly list them all, but we have managed to come up with the top 10 that perfectly capture and encapsulate Larnaka's appeal, and these have been included in a handy flyer. The flyer is currently available in English and Russian but will soon be available in other languages. Since the creation of Larnaka's new international airport four years ago, travel to and from the region has become an easier experience thanks to state-of-the-art facilities and an increased passenger capacity. The aim of the airport is to open up the Larnaka experience to the world with as many countries connected to the island as possible and for 2013, new flights to Milan, Latvia, Ukraine and Bucharest have been added. Cyprus makes a romantic destination for a Valentine's Day break and Larnaka has ensured that love is definitely in the air with a host of activities; how about a pottery-making session for couples where you can make a lasting souvenir of your love, such as a replica of a medieval marriage bowl? Or a museum may seem an unusual place for romance, but the Pierides-Laiki Bank exhibits many artefacts that relate to love, marriage and fertility. A winter break on a sunshine island may leave you wondering what on earth there is to do. Or maybe you don't have a big budget and are wondering how to see and do as much as possible without breaking the bank? The good news is that the Larnaka Tourism Board has put together a flyer with a two-week programme that features something different each day, and the even better news is that most of the activities are free-of-charge! A stroll around Larnaka in the crisp winter air is the perfect way to take in all the essential landmarks of the town, and you can enjoy seeing them via the three Cultural Walks which cover all the important sites of the area. Walk A takes in the Seafront & Town Centre, Walk B covers Archaeology & Museums, and Walk C focuses on Culture and Nature. A comprehensive map is available in English and Russian, and this has recently been updated. With the advent of personal technological devices, most people can listen to audio 'on-the-go', which is why the CTO has produced a series of audio guides in mp3 format. The guides are free to download in six languages and ready to listen to as you explore a whole range of fascinating sights. The Larnaka guides feature Choirokoitia Neolithic Settlement, Saint Lazarus Church and Ecclesiastical Museum and Hala Sultan Tekke. Copyright © 2013 Larnaka. All rights reserved.